Hello beauties! Hope y'all are enjoying these last few winter days to the fullest. During winters our skin gets super dry and to combat dryness we need products that would hydrate and nourish it. Right from our skincare products to our bath products we switch to products that would hydrate it. 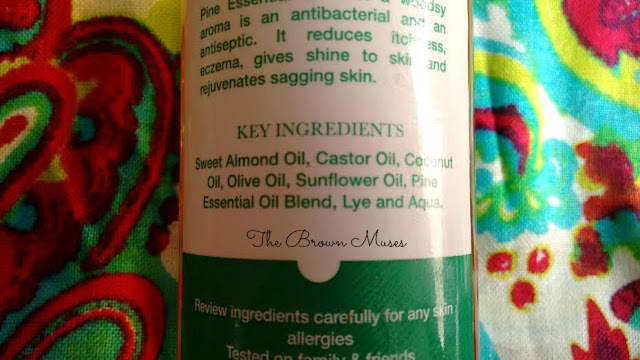 Today I'm reviewing a bath product precisely a body wash which contains all natural ingredients derived from mother earth. The body wash is called Forest Walk Pine Body Wash, I had got this body as a gift from my friend across the border and you can find the entire haul here. To know how it fared for me read on. Aura began in 2010 as a project dedicated to promoting the natural and alternative way of living. We are a passionate group of individuals who want to find new ways to make our lives healthier. We believe one of the most important aspects of our daily routine is body and skin care, which is often neglected. At Aura, we've been researching and looking for the most nurturing and beneficial ingredients nature has to offer to create a collection of completely natural/handmade bath and body products. We started with handmade soaps and as the positive response of our soaps grew, so did our range of products. Our products are made from the highest quality natural ingredients to make sure that your skin gets the best care possible. Our collection consists of various skin and hair products that are entirely chemical-free! Aura products do not contain harsh ingredients such as parabens, alcohols, synthetic chemicals or artificial fragrances. We are passionate about healthy skin-care and strongly believe in honest and unprocessed products. We believe in nurturing our planet, and are proud to say that we do not test our products on any animals. Pine Essential Oil with a woodsy aroma in an antibacterial and an antiseptic. It reduces itchiness, eczema, gives shine to skin and rejuvenates sagging skin. Shelf Life: The bottle says Feb 2017 however the date of manufacturing is missing. Aura Forest Walk Pine Body Wash comes in a plastic bottle with a flip cap to dispense desired amount of product, the packaging is very simple yet classy. The labels on the bottle bears all the necessary information like ingredients, price, shelf life etc except the date of manufacturing. I don't think this bottle is travel friendly since a good amount of body wash had leaked in transit when I received my package. The body wash is in a gel form so it's a thick texture, it is golden brown colour. The body wash has a strong woodsy aroma, since I've never smelt pine oil, I wouldn't know what it smells like however the name of the body wash is apt as the aroma does make you feel like you are talking a walk in a forest. The smell might bother people with sensitive noses. Interestingly, when I first received the body wash along with my order I disliked the smell and immediately regretted ordering it because it had a medicinal kinda smell but slowly the smell grew on me and now I really like it if not love it. Pine oil is known for it's antiseptic and antibacterial properties hence that makes this body wash a must for monsoon season. In order to use the body wash I take a desired amount on a damp loofah and massage it all over my body. The body wash produces a decent lather and upon rinsing it provides a squeaky clean feeling. And the best part is it leaves my skin super hydrated and doesn't feel slippery post rinse, I mean to date this is the most hydrating body wash I have used. My mother likes it too! :) The body wash gets it's hydrating properties from a powerful blend of skin loving oils like olive, castor, coconut and sweet almond. The body wash is devoid of harsh chemicals and is not tested on animals. What's also amazing is that the aroma of body wash stays on the skin for a couple until it vanishes completely. For a body wash this is a decent staying power of the smell. 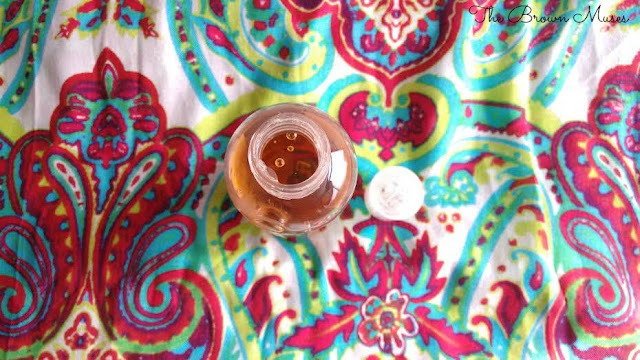 Since it's an all natural and handmade product the price may seem a little high but you require twice the coin sized amount for the entire body and this body wash should easily last you for a month and a half if used daily. I use it 2-3 times a week. 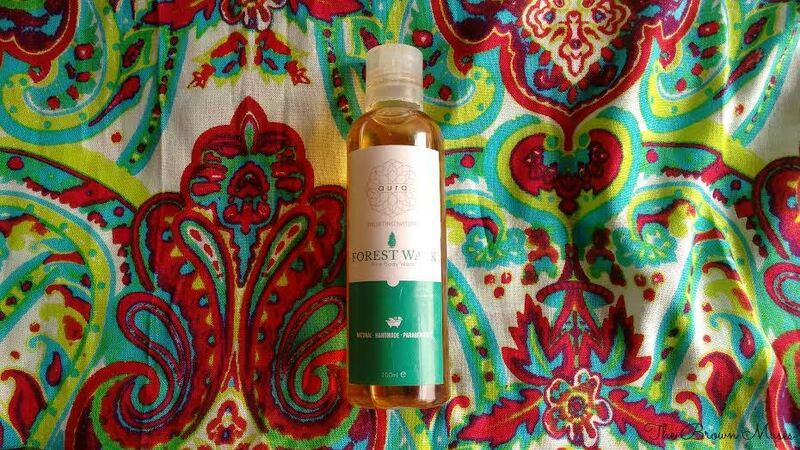 To conclude, Aura Forest Walk Pine Body Wash is a very good body wash to include in your bathing routine. Handmade, devoid of harsh chemicals and cruelty free. The most hydrating body wash I have used to date. Has a very different and interesting smell. Good packaging - it bears all necessary details. People with sensitive nose might find the smell a bit strong. Will I recommend: Absolutely! Go for it. Have you used this body wash? If so then do share your experience with us.